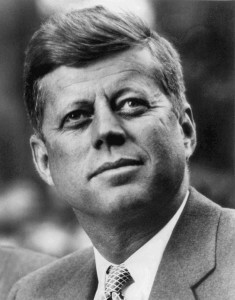 Taking the oath of office at 43, John Fitzgerald Kennedy was the nation’s youngest elected president. His assassination, on a visit to Dallas, Texas, November 22, 1963, also made him the youngest to die. Youth and the determination, idealism, and optimism of youth were at the center of the Kennedy presidency, which inspired the nation to strive toward extraordinary achievements ranging from progress in social justice to the exploration of outer space.